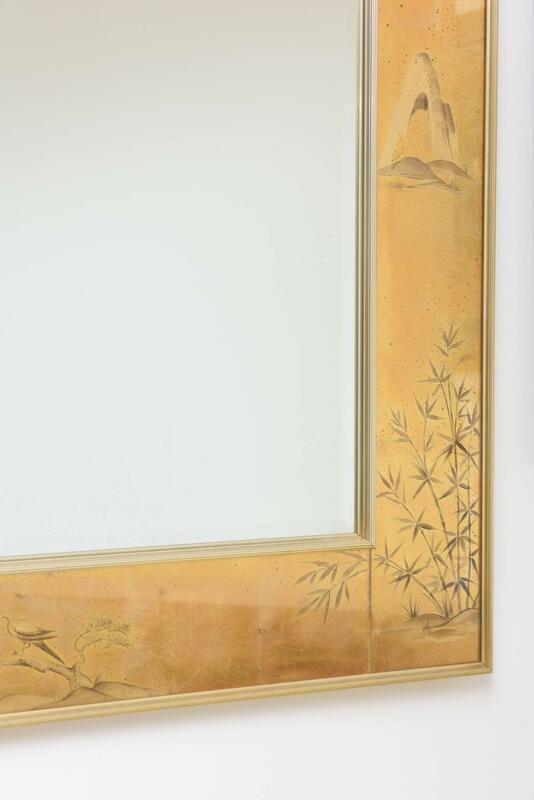 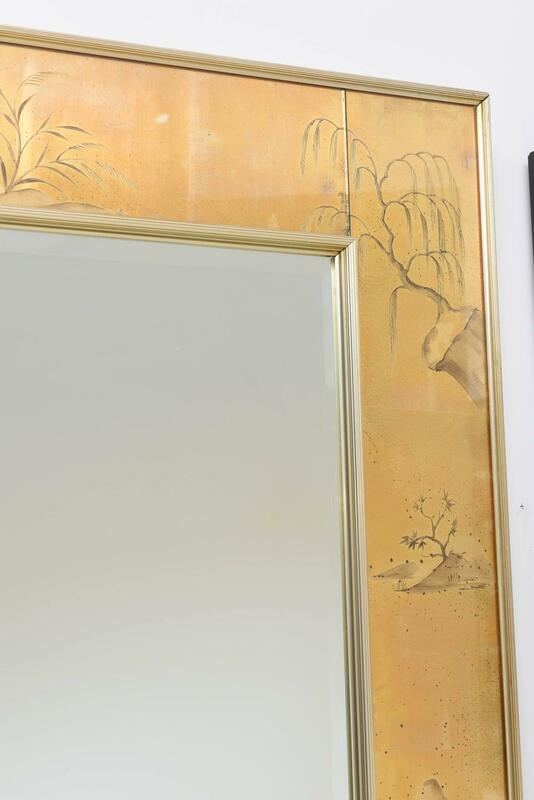 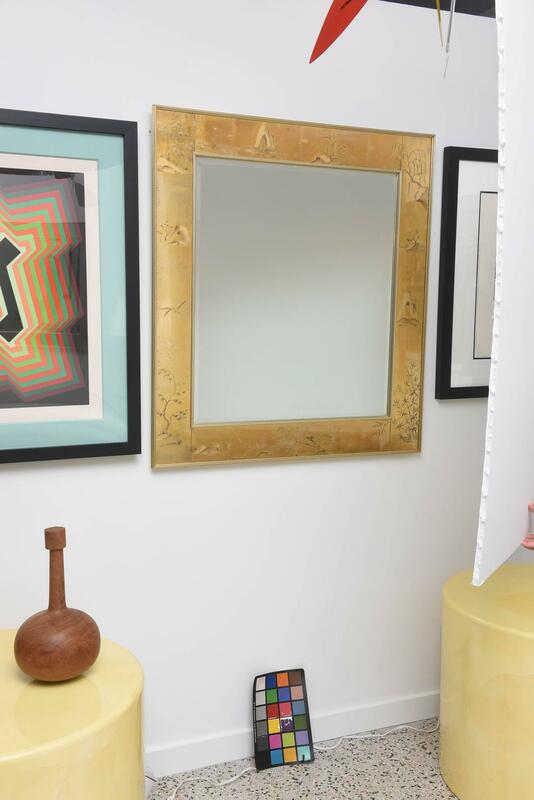 This beautiful mirror was created by La Barge in the 1960s and is one of their classic and timeless designs. 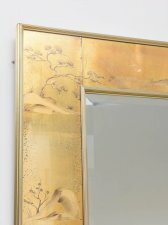 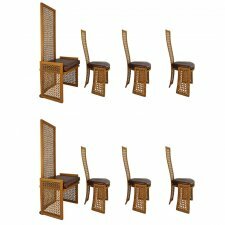 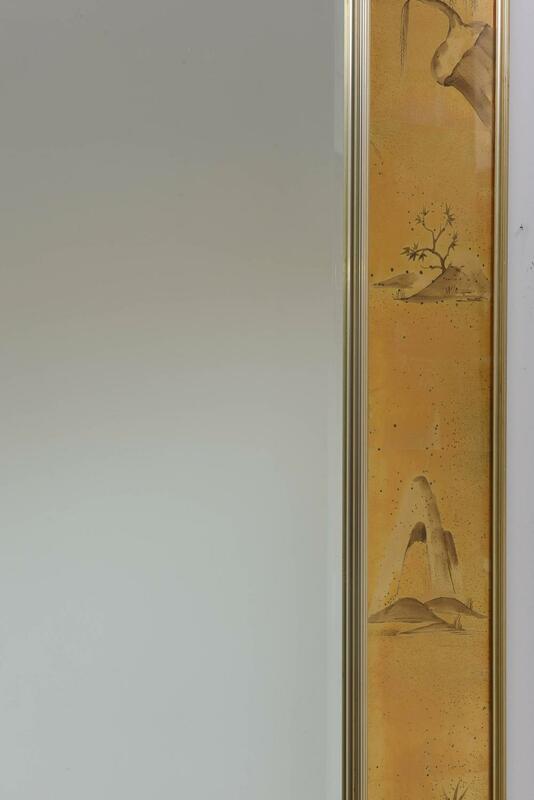 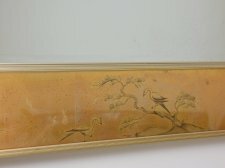 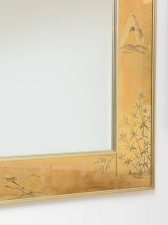 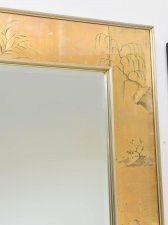 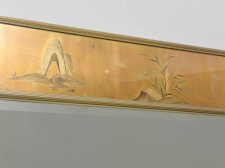 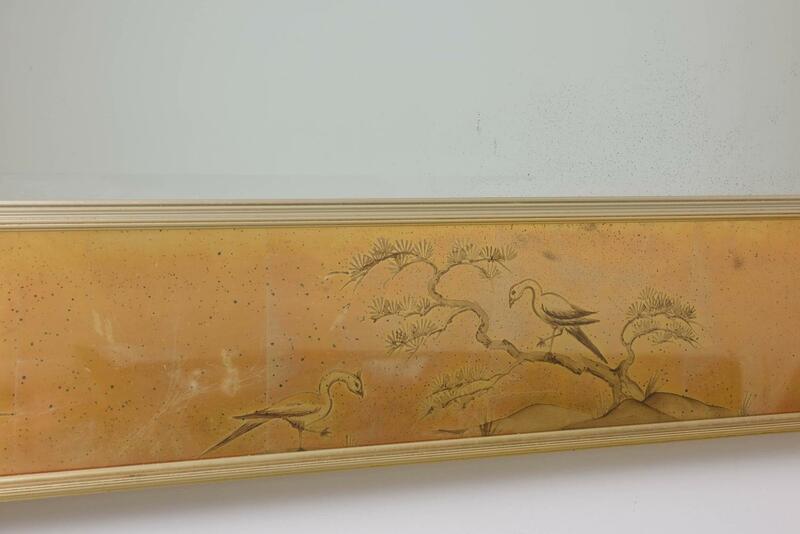 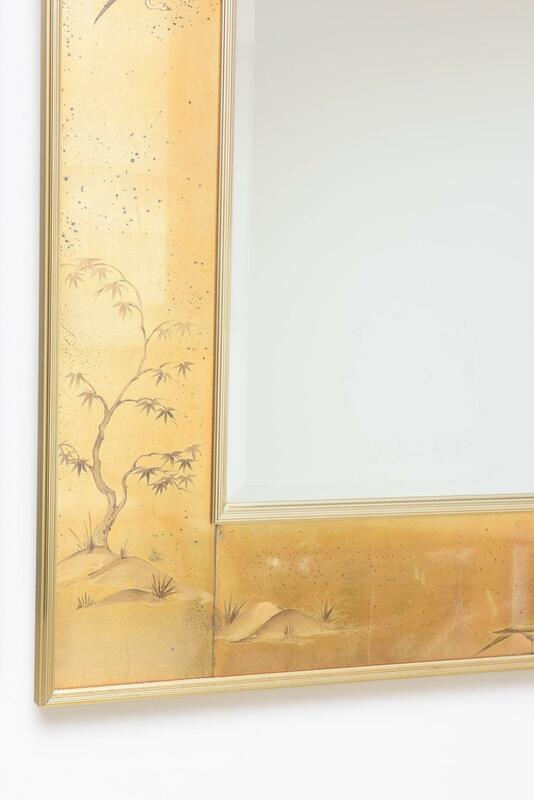 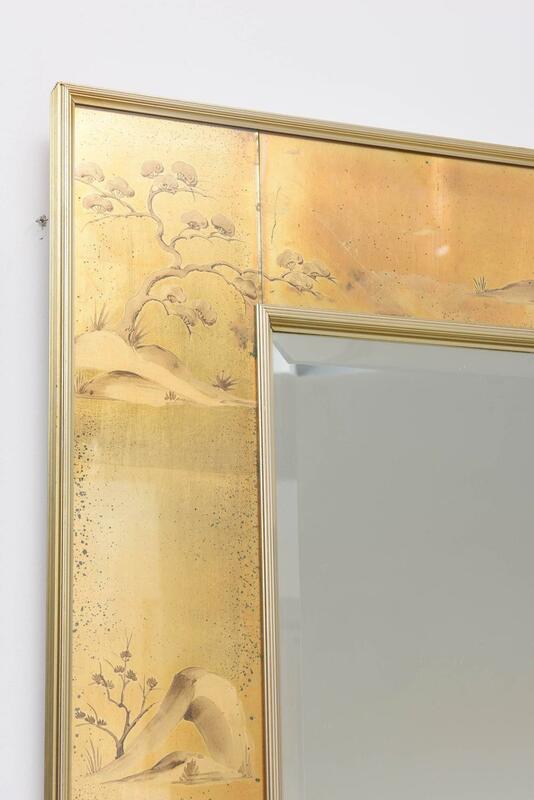 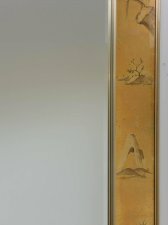 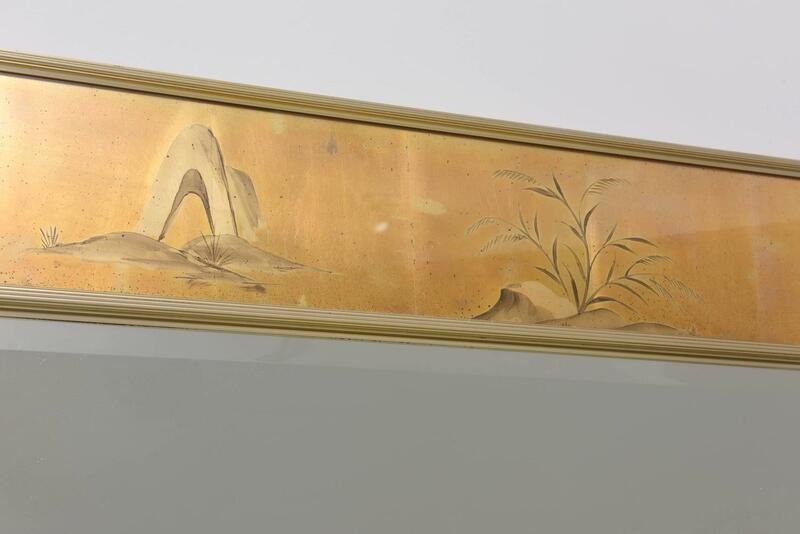 The piece has four eglomise-style panels with stylized asian motifs of bamboo, weeping willows, mountains and blooming flowers all on a soft-gold background. 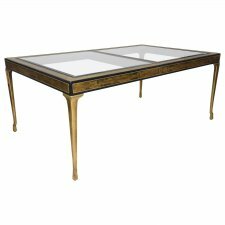 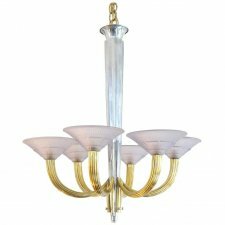 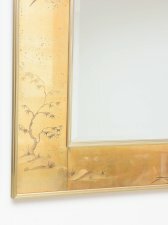 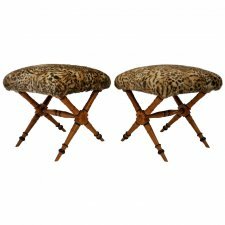 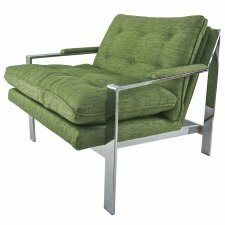 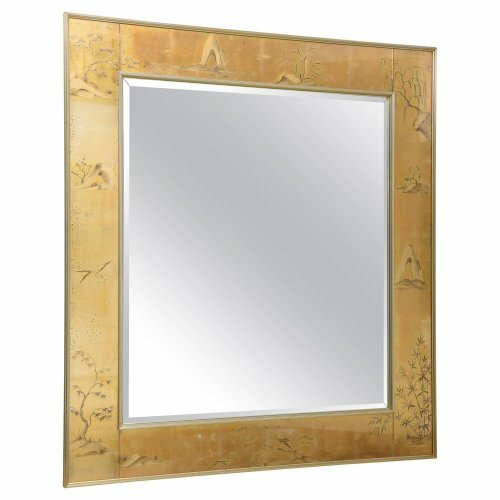 The mirror is beveled and fitted with a brass filet.